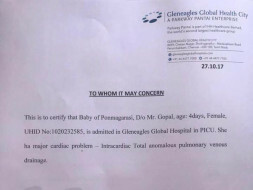 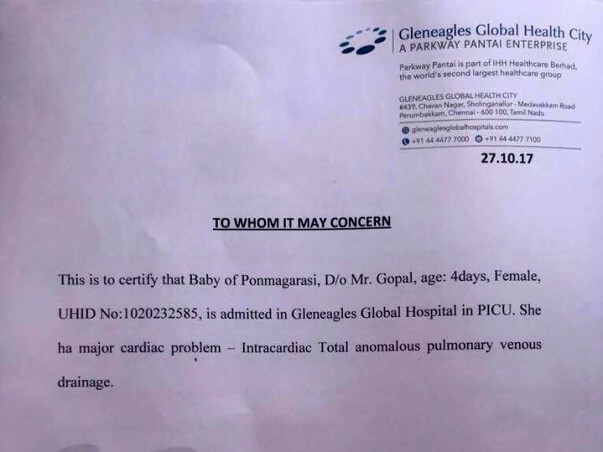 A New born Girl Baby , D/o Mr. Gopal is admitted in Gleneagles Global hospital in PICU, she has major cardiac problem - intracardiac total anomalous pulmonary venous drainage. 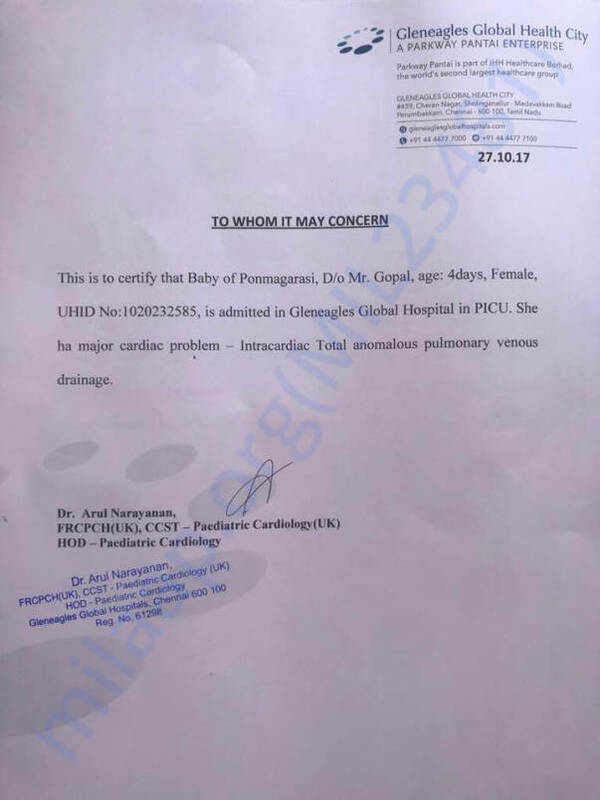 The MMM hospital has started doing the surgery 5 mins back and it is progressing well. Let us all pray for the child to recover soon.